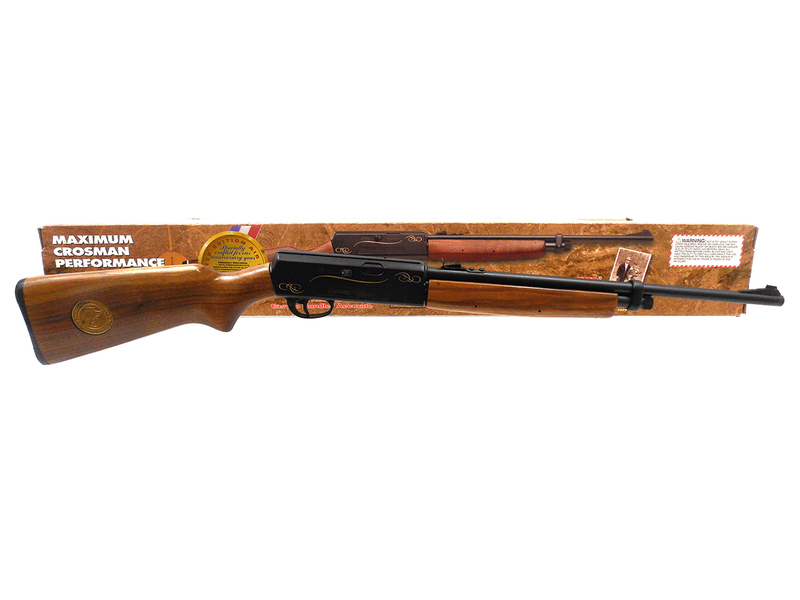 This is a new / old stock Crosman 2200w still in it’s original box. 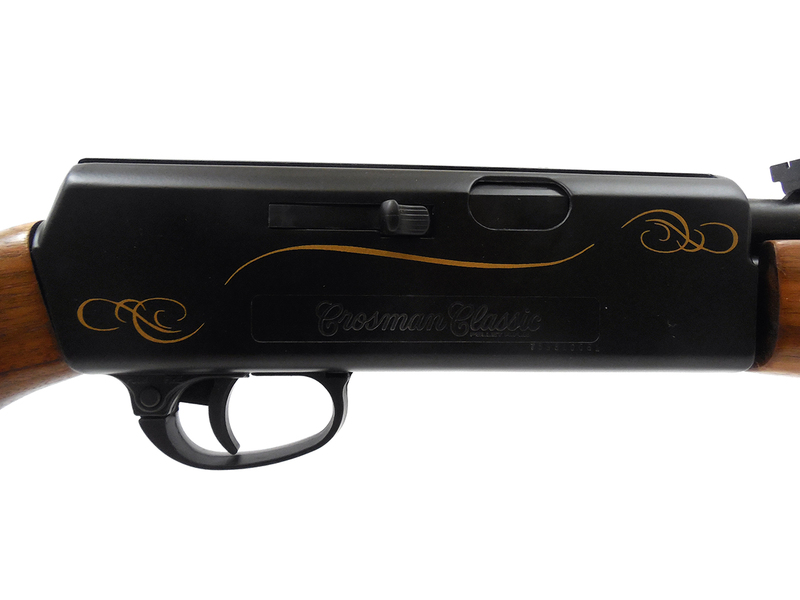 Crosman doesn’t make these anymore, but this one’s still new in the box, and we only opened the packaging to show you pictures. 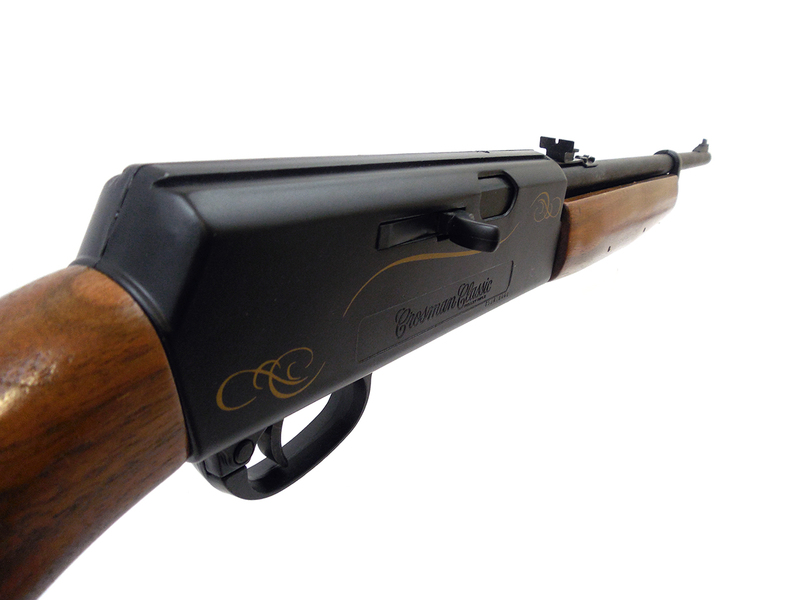 Similar to the 2200 Magnum, the Crosman 2200w is a .22 caliber, multi-pump pneumatic, single shot pellet rifle. 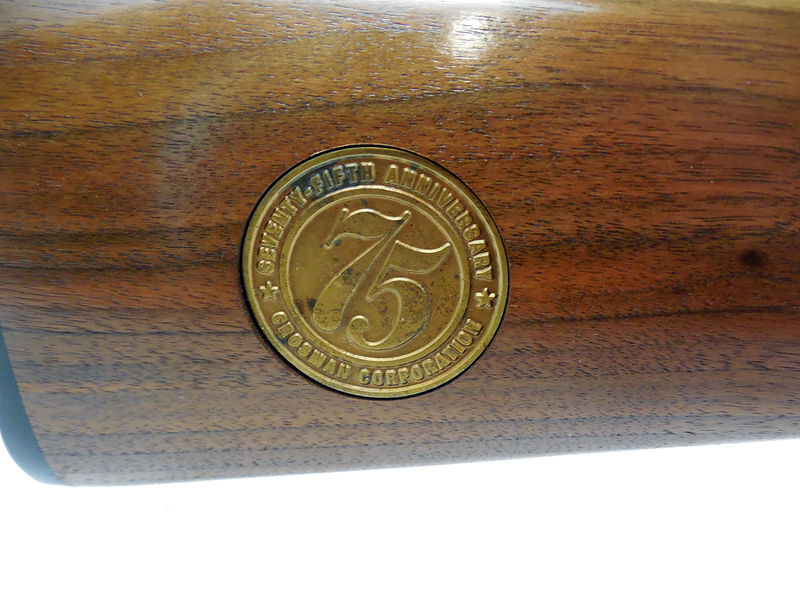 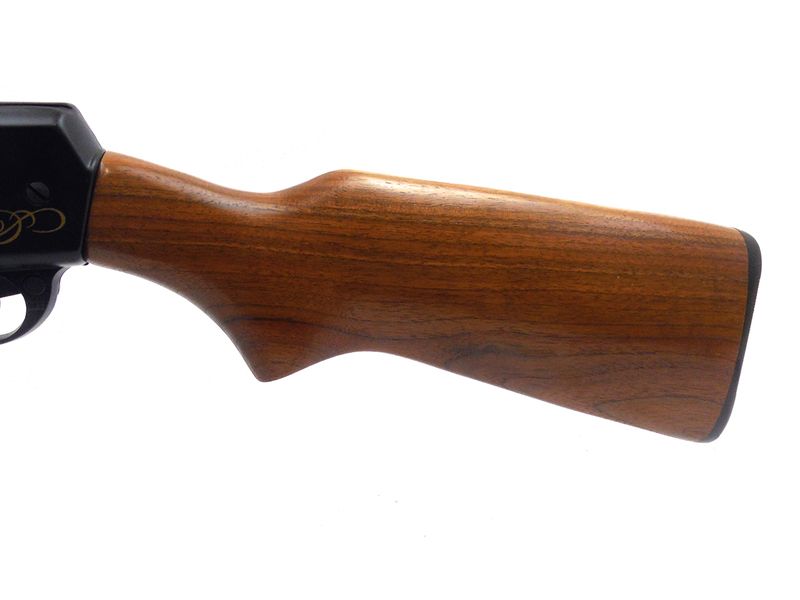 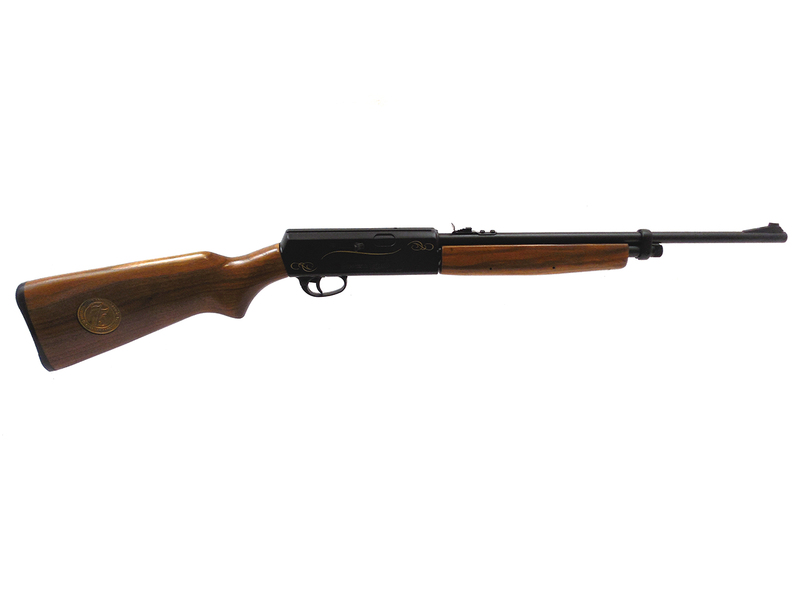 This one is a 75th Anniversary model featuring a walnut stock with medallion. 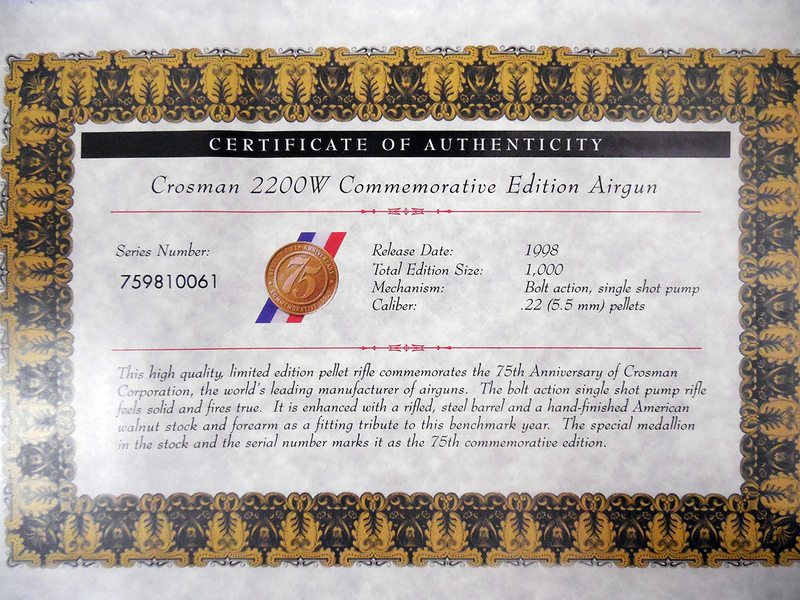 It comes with all of the original documentation including owner’s manual, and certificate of authentication. 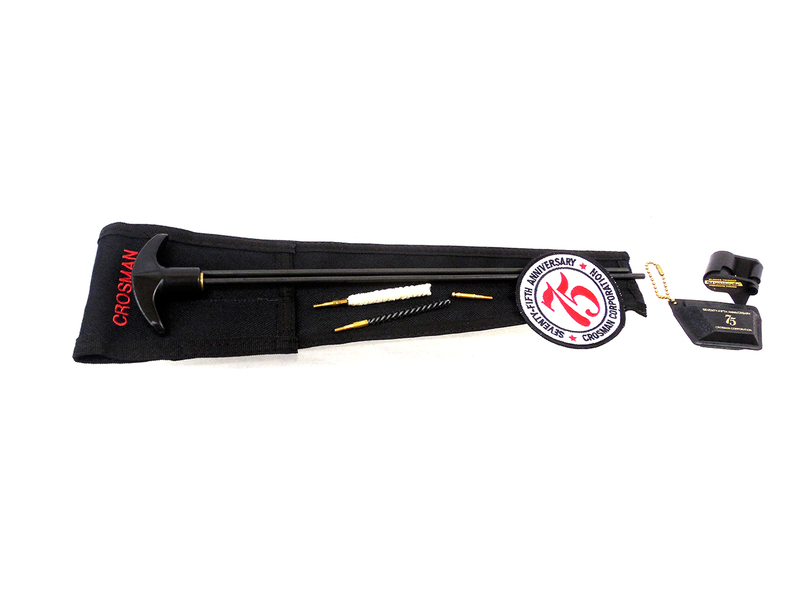 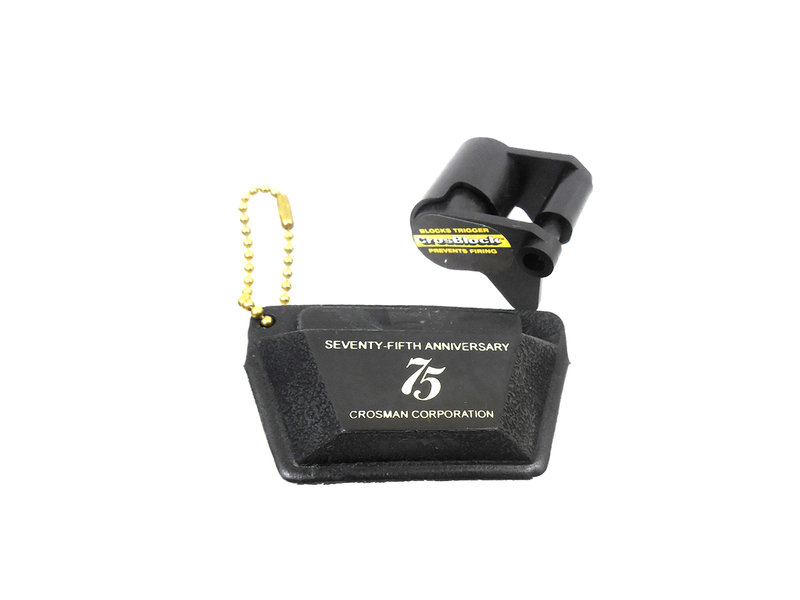 Also included is a Crosman cleaning kit, badge, key chain that holds pellets, and safety block. 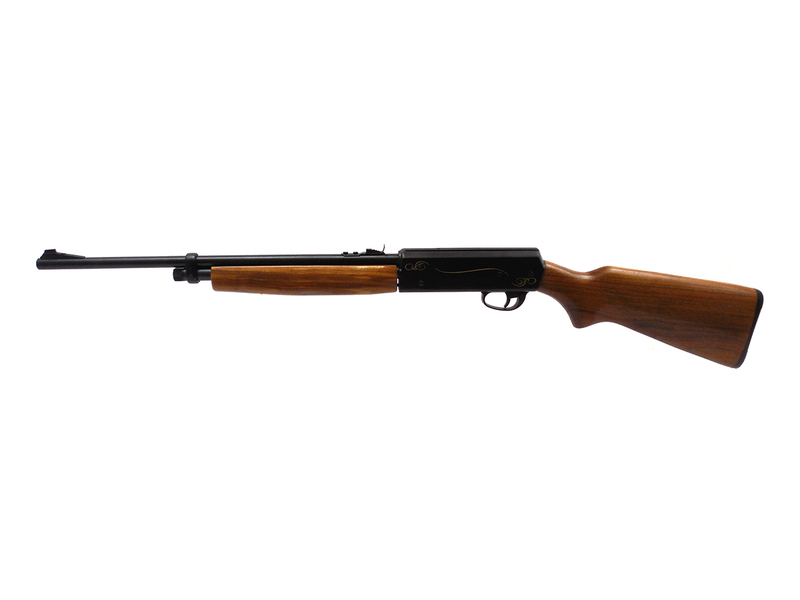 These are rated at up to 595 fps. 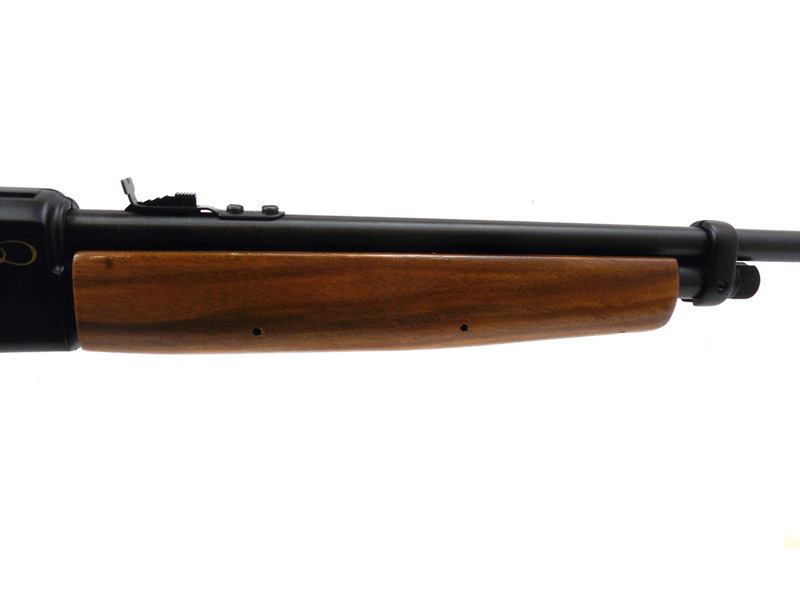 We tested the velocity using lead pellets at around 580 fps. 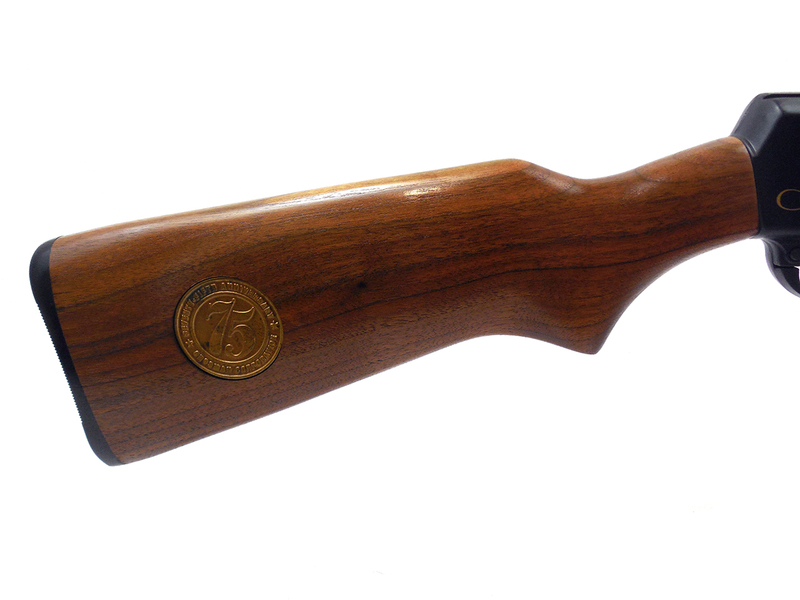 Still shoots good!